Yvonne Spicer is not your typical Mayoral candidate, but this is no typical election. I am looking for three major things when deciding who I want to be the first person to run the City of Framingham; Executive excellence, strong moral character, and the ability to bring together a wide and incredibly diverse cross-section of residents. The Mayor will overnight be responsible for an organization with thousands of employees, many of whom will approach a new government structure with nervousness about the direction of their everyday job. A strong executive has the ability to ease those nerves by clearly defining and outlining a shared vision. Yvonne Spicer has shown decades of strong leadership and executive experience. She has shown a consistent ability to inspire and establish trust from her staff, which will serve Framingham well. 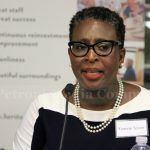 I am convinced that Yvonne is the best candidate to be ready on day one to step in and lead, especially after reviewing the detailed plans that she has outlined in her campaign platform..
As I mentioned, Yvonne Spicer is not your typical candidate. She brings no political baggage or dark history of ethical and political mistakes that candidates often bring. Instead she brings a platform of clear and new ideas on how we as a city can head into the future by supporting our schools and our seniors and maintain and improve on the excellent level of services we already have. She is not beholden to political leaders or developers for big money donations and favors of the past, her decisions will be made for what is best for Framingham, not what is best for the Mayor. As a community activist in Framingham for nearly 30 years I have seen many things both good and bad. Yvonne is not part of the old network that used to run Framingham in the smoke-filled rooms of the 90’s. I remember those days well and while some candidates may want to see a return to those days, Yvonne is instead a step forward to a place where decisions are made transparently and in the open. She will solicit input from a wide variety of constituents to help shape important decisions that the first Mayor will face from the start. Ethical behavior matters. Doing what is right for the people of Framingham over personal and political gain matters. Electing Yvonne Spicer is the clearest symbol that Framingham is ready to move forward to our exciting new path fueled by new ideas and ethical, common sense leadership. I urge you to please join me in voting for Yvonne Spicer for Mayor in the preliminary election on Tuesday, September 26 and then again in the final election on Tuesday, November 7. Yvonne Spicer is the right Mayor for Framingham’s exciting and new future.